Virginia’s sea bass fishery is open, it’s a special one-month fishery, highly regulated and designed for data collection. A special, no-cost permit is required, reporting is mandatory, and you must tell VMRC when you are fishing so they have the opportunity to have a biologist meet you when you return. All this is an effort to collect data on this wintertime fishery that we once had, but has been closed for several years. When asking federal managers to reopen this fishery one objection has been that no information was known about this “Wave 1” fishery. VMRC stepped up and basically said they would collect the data if you will give our recreational anglers a winter season. So for the second year now, we have this “trial” one-month fishery. The Rudee Angler (Head boat) enjoyed a successful sea bass trip. Everyone limited out in about an hour. Jim Baugh was onboard filming and got some incredible footage. He will be producing a show … watch for it. Jim will be at West Marine April 13 cooking up some of the sea bass at a cooking demonstration. The first trip on the Rudee Angler was sold out, so if you want to get in on the action call ASAP. 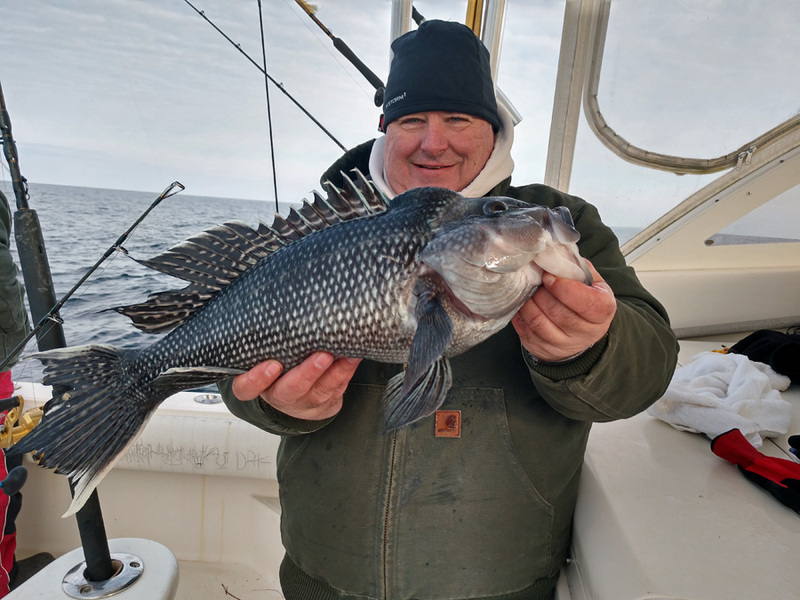 Dr Ken Neill and crew on the Healthy Grin also spent the first two days of the sea bass season on the ocean. They caught a 5-person, 75-fish limit on February 1. Two fish were heavy enough to earn trophy-fish citations of at least 5 pounds in weight. February 2nd, they caught a 6-person, 90-fish limit with more meeting citation minimum. They also caught multiple bluefish each day and a 9-pound hake. Boats were met at the dock each day by a very friendly VMRC biologist who measured and weighed a selection of the catch. Anglers are finding a few tautogs on ocean structures. A few giant bluefin tuna are showing up on docks from Virginia Beach down to Morehead City NC. There have been some nice size yellowfin and blackfin tuna caught off the OBX. The Virginia Beach Boat Show is coming up February 8th –10th at the Virginia Beach Convention Center. If you have been thinking about buying or upgrading, now might be the time to do it, all the big dealers will be there. 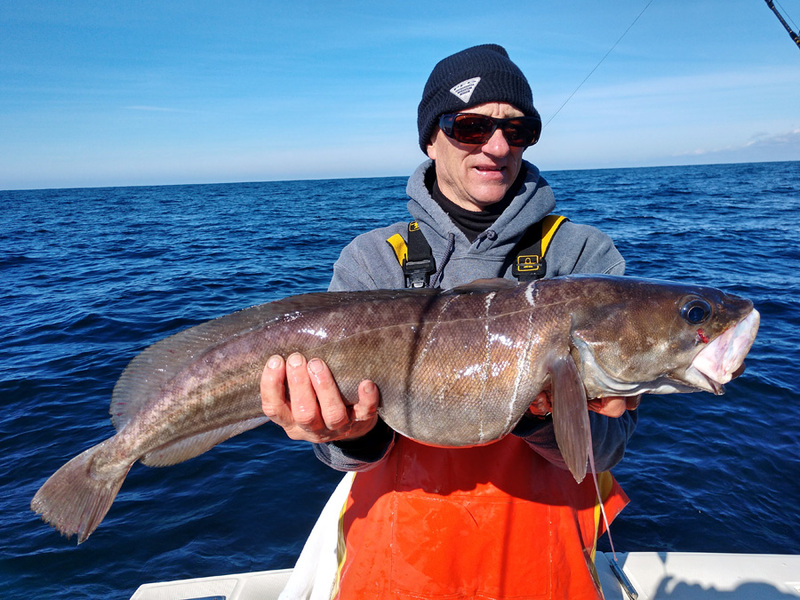 The Mid-Atlantic Fishery Management Council will meet March 6-7, 2019 at the Hilton Virginia Beach Oceanfront (3001 Atlantic Avenue, Virginia Beach, VA 23451, Telephone 757-213-3000).